The new Hanwha Q CELLS Q.PEAK-G4.1-305 Mono 305W Solar Panel is a monocrystalline solar module with performance classes up to 305 Wp and an efficiency of 18.3%. Q.PEAK-G4.1 solar modules offer higher yields over smaller surface areas. This is made possible by the new Q.ANTUM generation of Q CELLS module architecture. 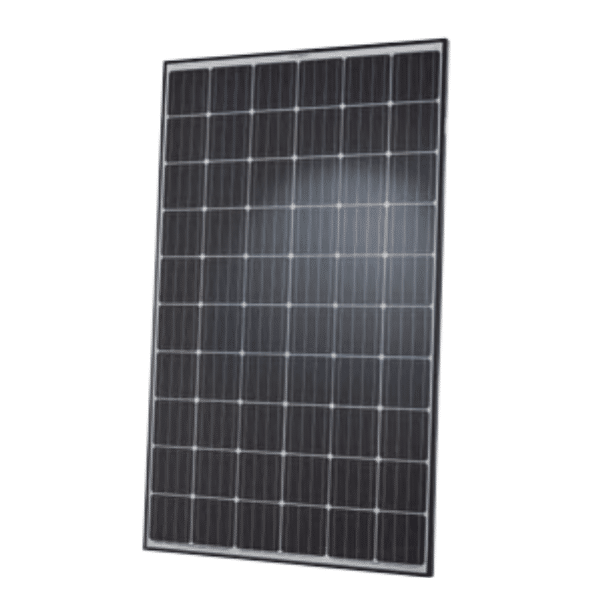 The front surface of the Hanwha Q CELLS Q.PEAK-G4.1-305 Mono 305W Solar Panel is completely black and enhances the visual appearance of even the most exclusive private house system. The Q CELLS Anti LID Technology eliminates light induced degradation (LID), which can greatly reduce system performance, almost completely. Other conventional monocrystalline solar cells will lose much of their initial performance, once exposed to sunlight. With Q.PEAK-G4.1 this is not the case, thanks to Anti LID Technology. Optimal yields, whatever the weather with excellent low-light and temperature behavior. Long-term yield security with Anti LID Technology, Anti PID Technology, Hot-Spot Protect and Traceable Quality Tra.Q™. High-tech aluminum alloy frame, certified for high snow (5400 Pa) and wind loads (4000 Pa). Up to 10 % lower logistics costs due to higher module capacity per box. Inclusive 12-year product warranty and 25-year linear performance warranty. Hanwha Q CELLS Co., Ltd. (NASDAQ:HQCL) is one of the world´s largest and most recognized photovoltaic manufacturers for its high-quality, high-efficiency solar cells and solar modules. Q CELLS offers the full spectrum of photovoltaic products, applications and solutions, from modules to kits to systems to large scale solar power plants. Hanwha Q CELLS is a leader in the world´s solar industry and a flagship company of Group, a FORTUNE® Global 500 firm and among the eight biggest business enterprises in South Korea. Join our ZERO Home Bills Community. BEST Solar Panels from the BEST Solar Brands at BEST Prices for ZERO Home Bills on ZEROhomebills.com by Solaranna. Hanwha Q CELLS Co., Ltd. (NASDAQ:HQCL) is one of the world´s largest and most recognized photovoltaic manufacturers for its high-quality, high-efficiency solar cells and modules. It is headquartered in Seoul, South Korea (Global Executive HQ) and Thalheim, Germany (Technology & Innovation HQ). With its diverse international manufacturing facilities in South Korea, Malaysia and China, Hanwha Q CELLS is in a unique position to flexibly address all global markets. Hanwha Q CELLS offers the full spectrum of photovoltaic products, applications and solutions, from modules to kits to systems to large scale solar power plants. Through its growing global business network spanning Europe, North America, Asia, South America, Africa and the Middle East, the company provides excellent services and long-term partnership to its customers in the utility, commercial, government and residential markets. Hanwha Q CELLS is a leader in the world´s solar industry and a flagship company of Group, a FORTUNE® Global 500 firm and among the eight biggest business enterprises in South Korea. Hanwha Q CELLS´ cell production capacity of 6.8 GW and its solar module manufacturing capacity of 6.8 GW makes the company the largest cell and one of the biggest solar module manufacturers in the world. Join our ZEROhomebills Community. BEST Products from the BEST Brands at BEST Prices for ZERO Home Bills on ZEROhomebills.com by Solaranna.